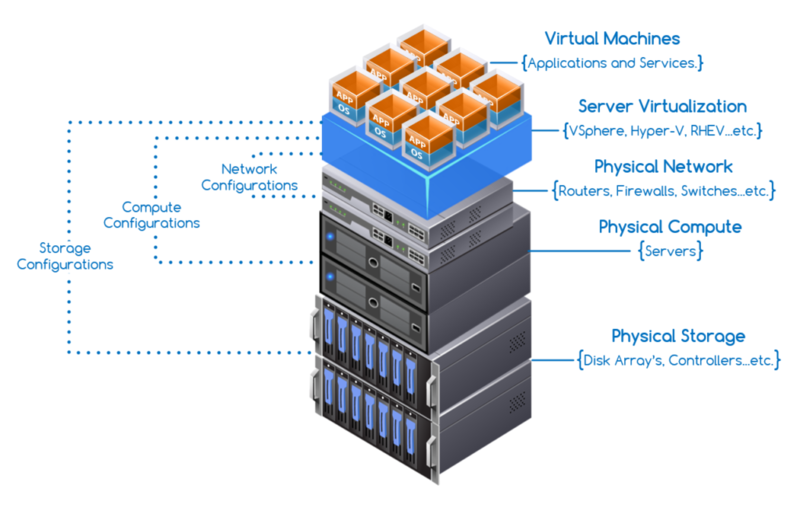 Hyper-convergence (hyper convergence) is a type of infrastructure system with a Innovative, all-in-one virtualization solutions that integrate compute and software-defined storage into a single, easy-to-manage, software-defined platform. 1) Data efficiency: Hyper-converged infrastructure helps reduce many things, such as storage and bandwidth. IT is under tremendous pressure to move faster and be more agile. Complex manual processes and non-integrated infrastructure can’t provide the power, simplicity, and speed necessary to meet the demands of the enterprise. Apps are growing 5x faster than IT can deliver, managing the IT stack consumes 80% of time and budgets, and cloud expenses are increasing rapidly. Hyper converged infrastructure systems empower IT to overcome these challenges, so you can reduce the cost and complexity of your IT environment and deliver the technology your organization needs.